When a person grows tired of fighting a terminal illness with aggressive and often painful medical measures, enrolling in hospice care may be the best course of action. Instead of focusing on curing a disease, hospice care concentrates on increasing a patient’s quality of life during the last days of illness. People who use hospice, as well as their families, are provided medical, emotional, and spiritual care, most often within the patient’s home. 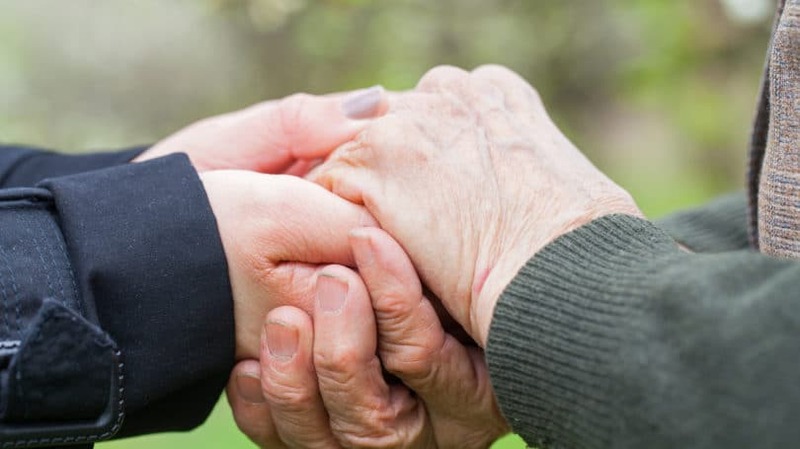 Hospice care can ameliorate many difficult end-of-life decisions, and for this reason it’s important to understand exactly how it can help your family when, or if, necessary. Unlike a hospital setting, where the focus is primarily on medical treatment, hospice care provides a range of services that are intended to meet the many needs of patients and families when a disease is terminal. A hospice agency makes the coordination of services simple for the patient and family by providing for all of the patient’s needs in the last months of life. Physician Services. The medical care of a hospice patient is overseen by a hospice physician who specializes in pain and symptom management at the end of life. All prescriptions and treatment plans are managed by the team physician. Nursing. Trained hospice nurses provide patient care in a setting of the patient’s choice. Most often, this care occurs in the patient’s home, but it can also occur in a nursing home or, occasionally, in an inpatient hospice unit. Counseling. The counseling provided by a hospice team is multifaceted. Counseling can include emotional support from a social worker or counselor, spiritual support from a chaplain, or even dietary support from a licensed dietician. Grief and Bereavement Services. Grief work can begin with the patient and family even before the patient’s passing, but bereavement services are available to family and friends of the deceased for up to a year after death. Home Aides. Sometimes a patient requires more support in the home than family is able to provide. Home aides can assist with bathing the patient and some additional personal care as well. Medical Equipment and Supplies. The hospice team can arrange for all the medical equipment needed for the patient to remain at home, including but not limited to a hospital bed, oxygen, IV supplies, bandages, medicine, and walkers. Social Support. 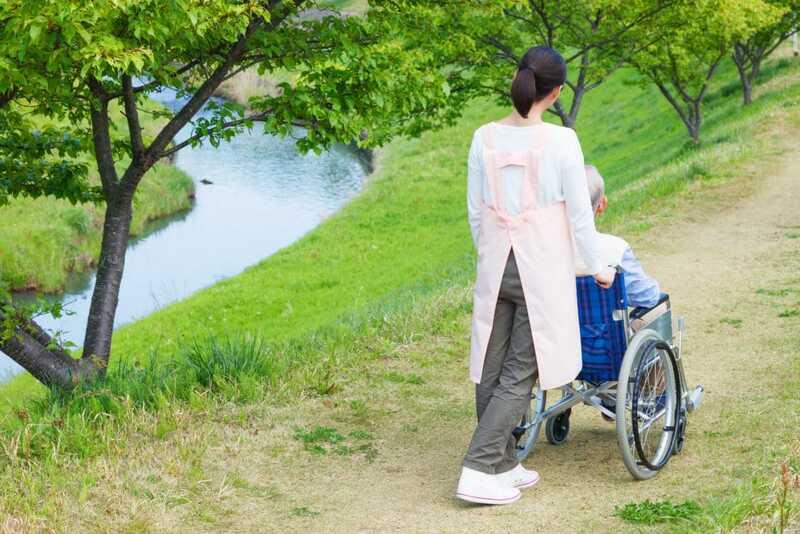 Most hospice agencies have a social worker and a team of volunteers to assist the patient and family with rallying resources while also providing additional social support. All of these services are covered by the patient’s health insurance if the plan offers a hospice benefit. As a general rule, hospice care can only occur once a physician writes an order for it. You can think of a hospice order as a prescription, because it (along with the patient’s consent) initiates the treatment plan. Routine Care. Most patients enroll in hospice with routine care, especially if they enroll early in the disease process. Routine care is provided in any setting the patient calls home, and it is intermittent in nature. The patient and family can expect periodic visits from nurses, aides, social workers, and chaplains, but most medical needs can easily be managed by the patient and family. Continuous Care. When a patient is in crisis – such as a sudden increase in pain or uncontrollable symptoms – hospice can provide continuous care at bedside through the help of nurses, aides, and social workers. This care continues until the crisis is resolved and the patient returns to routine care. Respite. The family of a hospice patient may experience exhaustion or burnout from caring for the patient. Hospices can provide respite to the family for up to five days, at which point the patient is transferred to a contracted facility so the family can rest for a short period of time. Hospice care continues within the contracted facility while the family rests. General Inpatient. Rarely, a hospice patient’s symptoms require aggressive, round-the-clock pain management for acute and chronic symptoms that cannot reasonably occur within the patient’s home. In this case, hospice can admit the patient to an inpatient setting where a nurse is available 24 hours per day and seven days per week to assist with the patient’s condition. Inpatient hospice is often used when a patient enrolls very late in the disease process and requires intense symptom management in the last days or hours of life. The treatments that patients and their families choose at the end of life have financial implications. Families may feel uncomfortable talking about the consequences of certain choices, because it’s disconcerting to think that the prospect of bills and debt may impact healthcare decisions. Certainly, if a curative treatment has a chance of affecting a disease process, it is the right of a patient to pursue that treatment. However, many individuals with terminal illnesses (and their families, if the patient hasn’t made their wishes clearly known through advanced directives) often opt into non-beneficial treatments at the end of life. Non-beneficial treatments may sound crazy on paper, but many patients and family members opt into “one last treatment” because they are frightened of dying, grieved to say goodbye, or they don’t fully understand the prognosis. Unfortunately, these treatments are costly, non-curative, often administered in an inpatient hospital setting, and do not improve the patient’s quality of life. Although the hospital or insurance company may absorb much of the expense, the bills can be passed along to the patient or family members through deductibles, co-pays, and out-of-pocket expenses. These expenses can cause great financial stress and quickly burn up a lifetime of savings, which is especially tragic if the treatments increase rather than decrease suffering at the end of life. However, the initiation of hospice at the end of life can prevent financial loss from non-beneficial treatments. Since hospice treatments are focused on comfort rather than cure, non-beneficial treatments aren’t likely to be pursued. Families benefit most from hospice, both financially and emotionally, when hospice care is started months in advance of an anticipated death, because then the patient does not bounce in and out of the hospital and incur debts from treatments that may not help in the long run. Each disease process is different, so it can be difficult for patients and families to know when it’s the right time to engage hospice care. A patient’s physician is usually a good guide, especially if the patient has developed a good rapport with the doctor over time. Palliative care physicians – doctors who specialize in relieving the symptoms of a serious illness – are also a good resource if a patient is looking for a straightforward answer to difficult questions about prognosis and life expectancy, and they are quite willing to write hospice orders when the time is right. Physicians can only write orders for hospice care if they believe that the patient has six months or less to live. Sometimes, hospice patients live longer than six months, in which case a physician can continue to re-certify that the patient has a terminal condition, allowing the patient to continue to receive hospice services. Patients and families receive the greatest benefit if they enroll early. It’s important to remember that hospice care does nothing to hasten death, so there is nothing to lose from enrolling as soon as possible. There are more than 4,500 hospice programs in the United States, so most communities have a number of agencies to choose from. When you begin to research hospice companies, remember that most care occurs in a patient’s home, so the exact geographical location of the agency doesn’t matter as much as the agency’s ability to travel to the area in which the patient lives. Once a patient decides to enroll in hospice care, a physician needs to write an order for it and the patient needs to set aside time to have an initial consultation with the hospice agency of choice so it can initiate a treatment plan. The hospice agency can take it from there. Call the Insurance Company. Private insurers often have preferred hospice providers. Rather than researching hospice programs online, call the insurance company to determine which agencies they prefer in order to narrow the number of choices. The insurance company can also provide helpful information about benefits and out-of-pocket costs. Use the Hospice Directory. Patients enrolled in Medicare or Medicaid may have a more difficult time narrowing their choices. Such patients may enroll in any Medicare-certified hospice program, and most agencies in the country carry this credentialing. Patients who need assistance finding a hospice agency can call the Hospice Directory for help finding an agency that meets their needs. Ask the Physician for Help. Many physicians have a hospice agency they like to use when they write an order. Ask the physician which agencies are preferable, especially if you trust the doctor’s judgment. If you or a loved one are facing a terminal illness, consider using hospice care to mitigate the physical, emotional, and financial pain resulting from a terminal disease process. The last weeks and months of a terminal illness are often challenging to navigate, but hospice care exists to make the final chapter of life one of comfort and peace. How has hospice care provided help to you and your family?